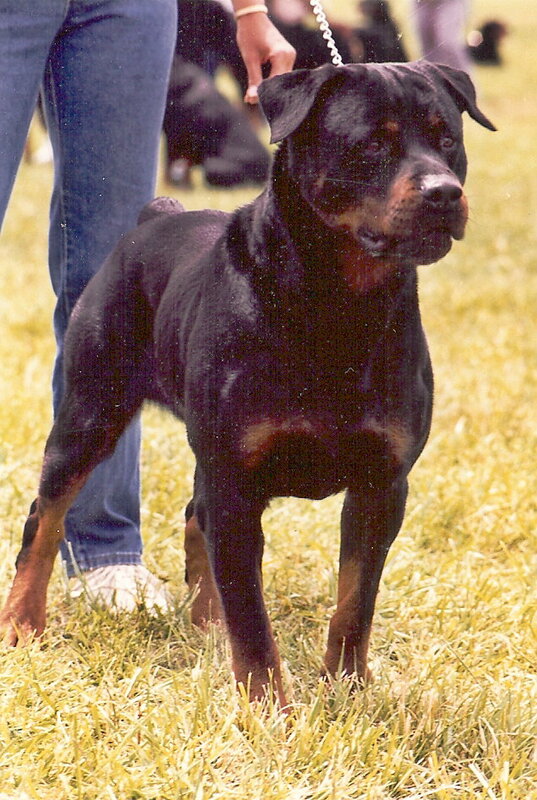 Blitz finished his AKC Championship before he was 18 months old. 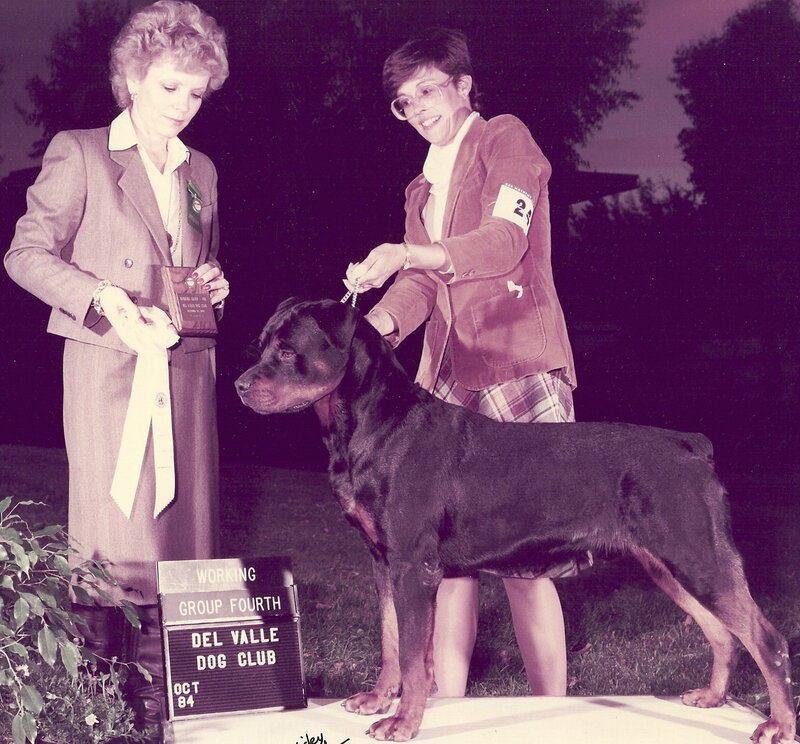 He began with a 5 point major BOW out of the 9-12 puppy class. He also won a BOB from the classes and a group 4 as well as a WD at the WRO suppoted show. He went on to win multiple BOBs and group placements along with an Award of Merit at GSRC. 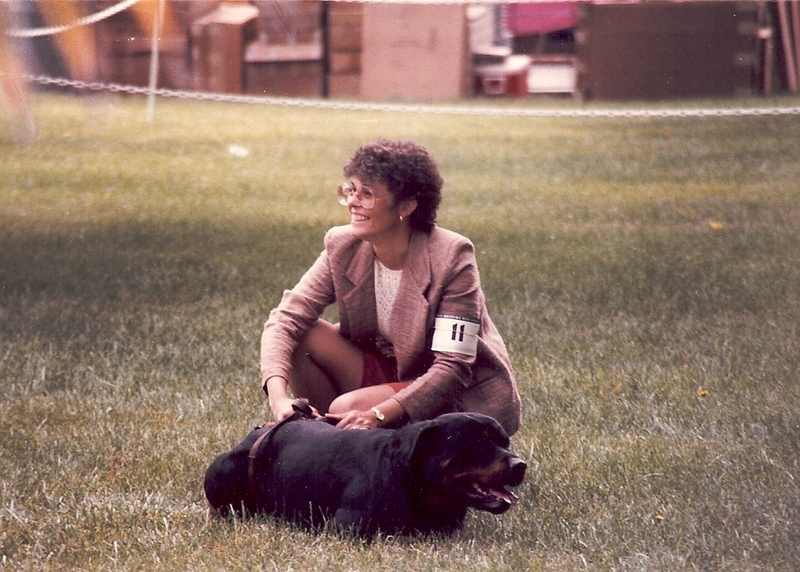 Not willing to stay home, he took BOBs and BOSs from the veteran class along with a Select at GSRC under Mrs. M. Freeman. In German style shows he had multiple V ratings including a V1 under E. Walbrodt and a V at the first USRCC National Specialty. 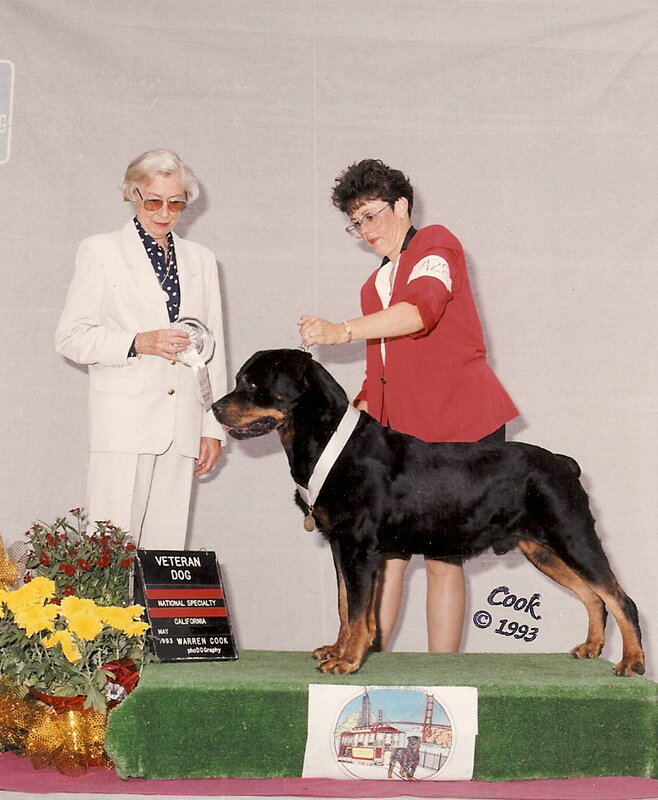 He also placed in the Stud Dog class at the ARC National Specialty in Oakland, California. He finished his CD with scores of 191, 185, 186. Middle size, dry, good bone, quiet alert dog. Geautiful broad head. Small, somewhat carried high ears, slightly loose in the ear. Brown eyes. Dark pigment in the mouth. Muscular neck with beautiful neck line. Very good shoulder layback. Somewhat open feet. Somewhat long but strong back. Very well angulated rear. Very beautiful tight coat. Small brown markings. Very good gait. Scissors bite.